Math is just one of those subjects that can be hard sometimes to fit the needs of both your child and you as the teacher. We were fortunate to have an opportunity to review a new math resource for the upper level grades from UnLock Math. UnLock Pre-Algebra is a complete on-line math curriculum in a series that includes Pre-Algebra, Algebra 1, and Algebra 2 (which is due to release in the near future). I hope that we are able to share not only what we have liked about this program and how it works, but also what we found that made it different than other on-line math programs. UnLock Pre-Algebra is a complete Pre-Algebra curriculum that can be used by students who have a grasp of upper elementary math functions. This usually includes those in the middle school age range. We used this program with our son who is about to enter sixth grade and is on grade level for math. The first five units in the curriculum are a review of the basic math that forms the foundation for Pre-Algebra. These units include Whole Numbers, Integers, Variables and Expressions, Rational Numbers and Fractions. Beginning in Unit 6 and continuing through the remainder of the course, the student will complete subject matter consistent with other mainstream Pre-Algebra curriculum. Each of the units above is broken into lessons, quizzes and tests. Upon entering a unit, the student is able to visually see where they are and what still needs to be accomplished to complete the unit. Our son really likes knowing where he is at and where he is going, so the grid that he saw when entering a unit was a real hit for him. The lessons are seen in the left column while the placement and number of quizzes and tests are clearly represented in the right column. The opening screen for each lesson is the same, which makes it incredibly easy for the student to know exactly what to do. The steps are simple and clear. Warm Up – The student is presented with a series of approximately 5 problems from material already covered to help get their brains in math mode. Video Segment for the Teaching of the Lesson Content – The video segment contains a real teacher presenting the material with a smart board incorporated with notes in PowerPoint fashion. Practice Problems – These are a series of generally 10 questions that go over the content from the lesson. Stay Sharp – A second set of review problems both from the lesson and previous content from the course. Just love all the review built in! Challenge Yourself – A tougher question that really challenges the student in the course content while utilizing critical thinking strategies to arrive at a solution. Reference Notes – Notes from the lesson. As I already mentioned above, our son loved that he always knew where he was in the course and the individual units. The consistency of the same format of each lesson was also a plus. I noticed that his confidence built each day when he was able to successfully complete the warm up prior to starting the lesson. The videos were generally between 3 and 10 minutes in length. He responded well to having a real person teacher that added personality to math and brought it alive. Alesia is truly vibrant about what she is teaching and it comes through to the student. Your child may not be jumping up and down with excitement, but I venture to say that they will connect more with this program because of the teacher presence than many other math curriculums that only have a voice overlay. Our son found the applications to real life as well as the history of math in some instances to help him grasp what was bring presented. Within the practice section of the lesson, the student generally has 10 problems to complete. The answers are typed into a text box. This text box can be converted to a box with the click of the mouse that has helps in writing equations with the proper notation. The problems are automatically graded giving instant feedback to the student. Before saving the lesson for final grading there are times that the program will present a list of problems to the student that they might want to revisit, because of an error made. After submitting the assignment, the child sees their final grade and can click on a button that says “View Detail”. We loved the View Detail button. It provided a side by side example of my son’s work and the correct answer. For questions that he missed, a line by line solution was presented so that the student can see where they might have gone wrong. Once the student reaches Unit 6, there is an intuitive nature of the software. If the student enters a wrong answer, the program will then walk them through solving another problem step by step. It will force them to slow down and go back to the basics. This was very helpful. My son did get frustrated with this feature at times when he had just made a silly mistake and had to go through the full step by step format. In actuality, I think it helped to motivate him to do well the first time around. Within the student dashboard, there is a formula reference sheet that can be opened for quick reference. We actually printed this off so it could be used daily during his math time. We are not a family that has done a lot of our core subjects through online programs. I have been leery of the scope and sequence and the ease of use. Our experience with UnLock Math has me rethinking that. The independence and ease with which our son used this program was remarkable. However, it does not mean that you do not have to monitor their progress. The software is built in such a way that monitoring progress is easy to accomplish. The key is to just make sure you are logging in to the parent dashboard on a regular basis. As I mentioned above, the software automatically grades the student’s work recording grades in a gradebook readily available to the parent. There are also progress reports that allows you to see where your child is in relation to completing units and the course as a whole. These tools are great as they contain the ability for you to drill down to the lesson detail to see exactly what skills your student may be struggling with and need more practice. There is also a downloadable Pacing Guide. This guide shows how long you should anticipate it to take to complete each unit and how many lessons need to be completed each week for a one year completion. Not only is there a significant amount of review built into each lesson, but the student can go back and redo lessons as needed. There is no locking of lessons. Therefore, if your family adheres to a mastery approach to math as ours does, the student can repeat the lesson until they reach the acceptable level to move on according to your family’s standards. At this time, the curriculum does not have to be completed from start to finish. The content obviously will build from one lesson to another so you will want to follow a logical sequence. However, if your student is very strong in math basics or has already completed some Pre-Algebra in another course, you can determine their starting point. Because the lessons are so clearly marked, UnLock Pre-Algebra could also be used as a supplement to other math curriculum in instances where the student just needs a bit more explanation of the lesson and maybe mom feels that math is not her strong suit. In addition to the individual lesson and unit tests, there are midterm and final exams. Not all families are big on testing and I understand that. However, in this instance I love that these are here. So much of math is cumulative and you really want to know that your child is retaining what they have already covered. These exams are a great way to determine that. A final feature that I would like to mention is that while both the student and parent are logged in, there is a chat window at the bottom right corner of the screen. There was a time during the review that I had a question about how something was working. In noticing the chat window, I thought I would try it out. After entering our question, the vendor was very quick to reply and worked with us until we were fully satisfied that our issue was addressed to our satisfaction. That kind of customer service is not something to undervalue in this day and age. UnLock Math Pre-Algebra gets three thumbs up: one for student use, one for parent ease of use, and one for excellent customer service. In reviewing the scope and sequence, it is truly a full Pre-Algebra curriculum. The combination of the intuitive software, live teacher presence and presentation of the new content, automatic grading, and the ease of use makes this a very viable option for those seeking an online math curriculum. 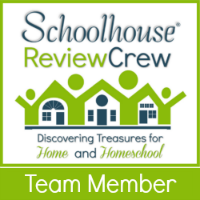 As always, I encourage you to check out the other reviews from the other reviewers from The Schoolhouse Review Crew. Previous post: Just What Do You Do with Elective Requirements?